August | 2012 | What Good Will This Do? They’re all over her dress. It’s time for What Good Will This Do? favorite: Silly Simile. That’s where we find an item with a cutesy saying that uses like or as and then put our own little twist on it, like with did with the snowflake figurine. 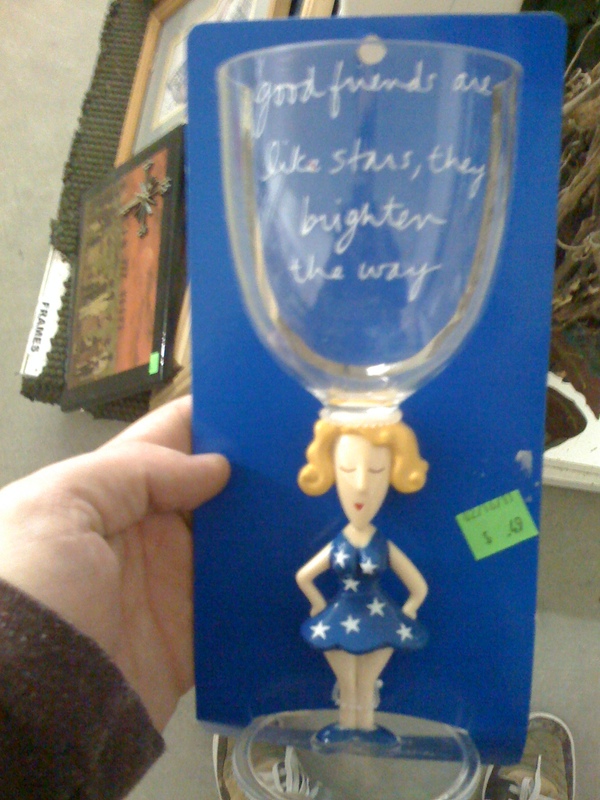 This plastic goblet springing forth from a sassy housewife’s cranium bears the inscription “good friends are like stars, they brighten the way.” Let’s see how weird we can get. They disappear during the day. Most have been dead for centuries, we’re just too far away to know it. We make up stories to explain their shapes. The Nazi’s used them to mark Jews. The one’s closest to us are called the Milky Way. See, wasn’t that wacky? Come up with your own and post them in the comments. 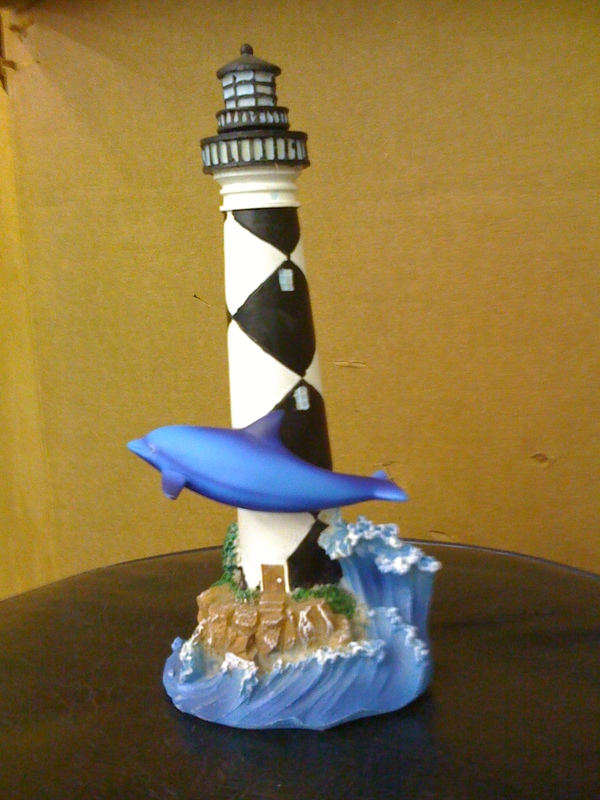 Flipper menacingly circles the lighthouse, like a buzzard dancing in the sky above a weakened calf. He shall exact justice upon mankind for its injustices against the sea.